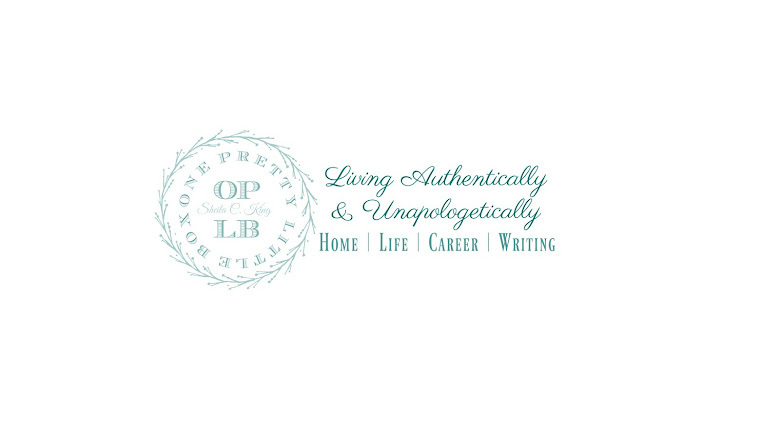 One Pretty Little Box: I'm making a list... checking it twice. I'm making a list... checking it twice. That's right! 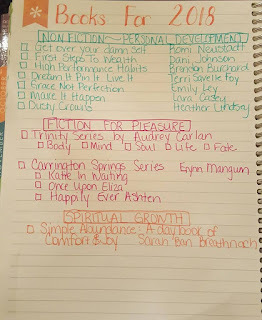 I am making a list, my book list for the year. So far though I haven't really read a whole lot. I know it is only day 4, and I consider today day 2 since I started back to work routine yesterday. Anyway, I thought I would share my list with you just for kicks! 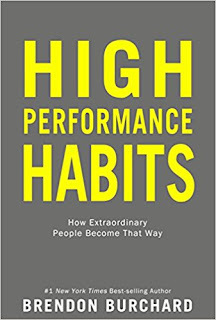 Books for Personal Development are easier for me to pick out and I tried to get a variety from a few different authors, experts, and speakers in all areas of my life from career, to relationships, and beyond. 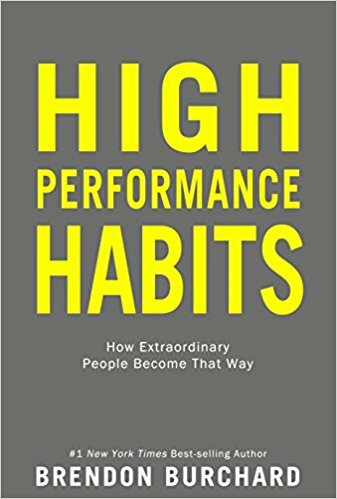 If you haven't spent anytime reading books that will foster a greater personal development then I highly recommend you read at least ONE this year. Once you read one, and you see the fruit from that, you will understand it's importance I promise! I have a few that I am committing to read, and once I get through these I will re-evaluate and see where to go next. BUT that is a long time away! :) Here's the list! 4. 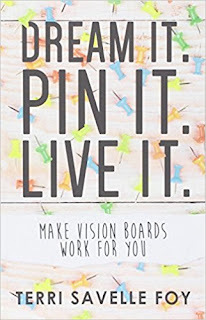 Dream It Pin It Live It : Make Vision Boards Work for You Written By Terri Savelle Foy (When the vision is clear, the results will appear. Clarity about your dreams is the single most important step to success! 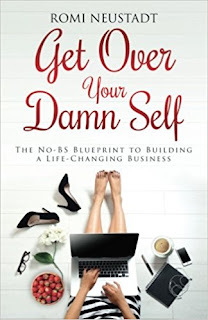 In this book, Terri Savelle Foy shares her journey of using vision boards to accomplish great things and shows how you can too. 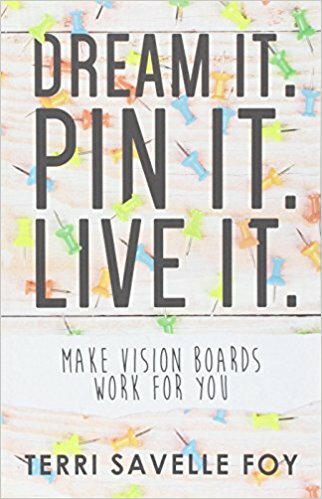 Discover how vision boards work, what to do after you've made them, and the hidden key to living your dreams. Find out how you can open your imagination and have that childlike faith to believe that anything is possible, and turn your dreams into reality.) 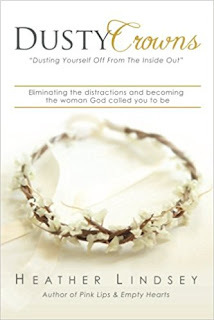 I have ordered this book directly from www.terri.com and am still waiting for it to come in, however I ordered it over the weekend. Actually I ordered two copies. One for me, and one for our 18 year old daughter. 5. 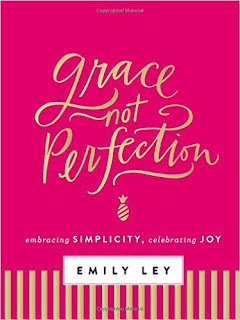 Grace Not Perfection: Embracing Simplicity, Celebrating Joy Written by: Emily Ley (As a busy wife, new mother, business owner, and designer, Emily Ley came to a point when she suddenly realized she couldn’t do it all. She needed to simplify her life, organize her days, and prioritize the priorities. She decided to hold herself to a standard of grace rather than perfection. This mantra led to the creation of her bestselling Simplified Planner®, a favorite among busy women everywhere—from mamas to executives and everywhere in between.) 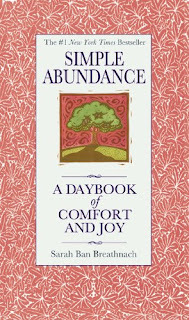 I am not sure if you guys read my post the other day about my one word of the year, but it is JOY and I am excited to read this book! 6. Make It Happen. Surrender Your Fear. Take the Leap. 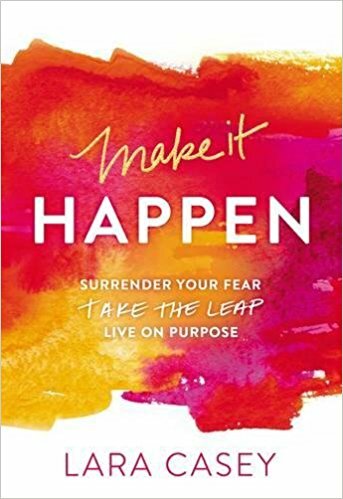 Live on Purpose Written by Lara Casey (Make It Happen is the story of how I surrendered my fear, took the leap, and got a life. In my case, a perfectly imperfect, fulfilling life as a mama, a working woman, and a grateful wife. This is the story of how I chose to make "it"―a greater purpose than mine―happen, and how you can too.) 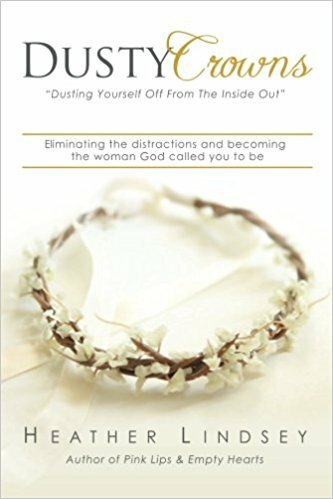 One of my biggest passions in this season of life is encouraging women to simply love the life they are living and this book I believe fosters that belief. I also have a few fictional reads because I do believe in balance in all things. I have chosen to read two separate series from two of my favorite authors. So instead of showing you the covers of each book, I will link up their series, again on Amazon if you are interested. Again, these are NOT affiliate links, but the easiest way to share my finds. 1. 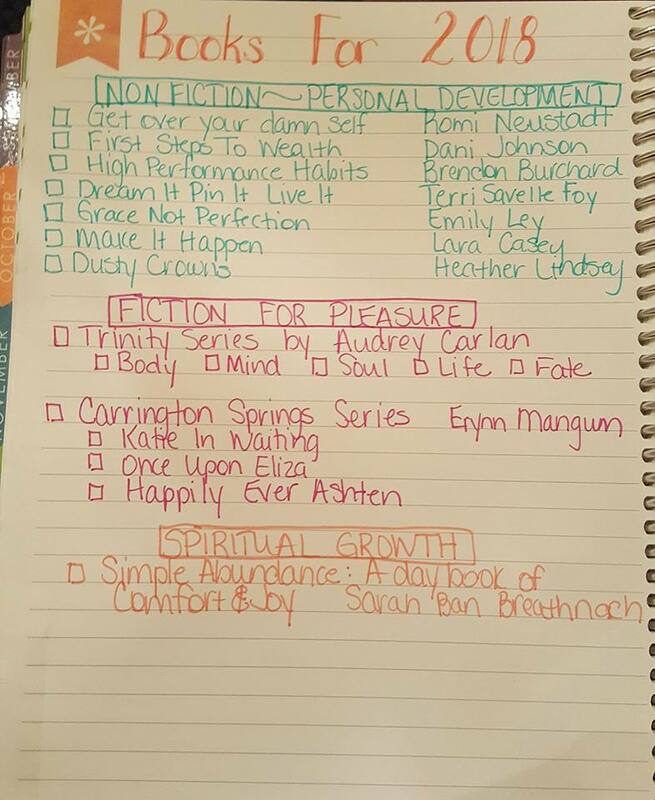 Trinity Series by Audrey Carlan (These are definately ADULT novels, and are not necessarily for everyone's liking. I read the Calendar Girl Series two summers ago and loved every one. I literally couldn't put the books down and blew through them quickly. And there ya go! 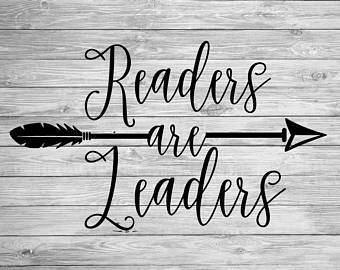 :) I hope that you have found at least ONE book that intrigues you from my list and that you get to reading soon! Readers and leaders, and leaders are readers! As mothers we lead our home under the guidance of our husband, lead our children, and many of us have become leaders outside of our home. Regardless of your age ... reading is important.